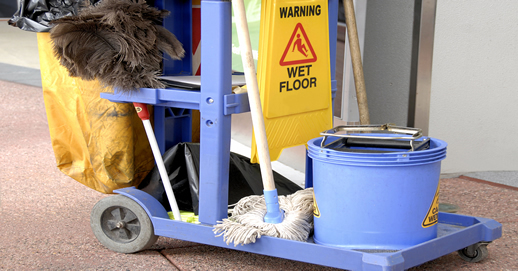 Janitorial Service Work Comp Discounts and Payroll Outsourcing PEO Programs. Workers' comp insurance savings, with little to no money down. Background checks and human resource services. How Much Does Employee Leasing Cost? Much less than in house costs as reported by the Small Business Administration. Employee leasing companies charge an average annual fee between 2% to 4% of payroll, well below the 9-13% estimate shown by the SBA. Imagine unloading the headaches of purchasing check stock and updating payroll programs yearly, while someone else manages the hassles of tax reporting, W2s, garnishments and more - delivering payroll right to your office. A weekly payroll of three thousand dollars can be done for less than a hundred dollars a week! Is Employee Leasing And PEO Services The Same? Yes. The original term "employee leasing", started in the 1970's, but was given a new name in the form of a Professional Employer Organization (PEO) in the late 90's. The time savings alone is worth the costs, but in most cases you'll actually put money back into your cleaning business with a PEO provider. With a PEOs master work comp policy that provides huge savings, reduced rates on employee benefits and online payroll services for less than you could do on your own - it's worth looking into. Plus, healthcare reform compliance laws have many commercial cleaning companies scrambling for affordable options. Some of the employee leasing Minimum Essential Coverage (MEC) plans available are both ACA compliant and affordable. Call Employee leasing Quotes to get answers, pricing and quotes. We've saved thousands of employers millions of dollars in insurance costs and time since 2001.